What a great surprise!!! And I love surprises!!! Who doesn’t???? ok..ok.. let me tell you. 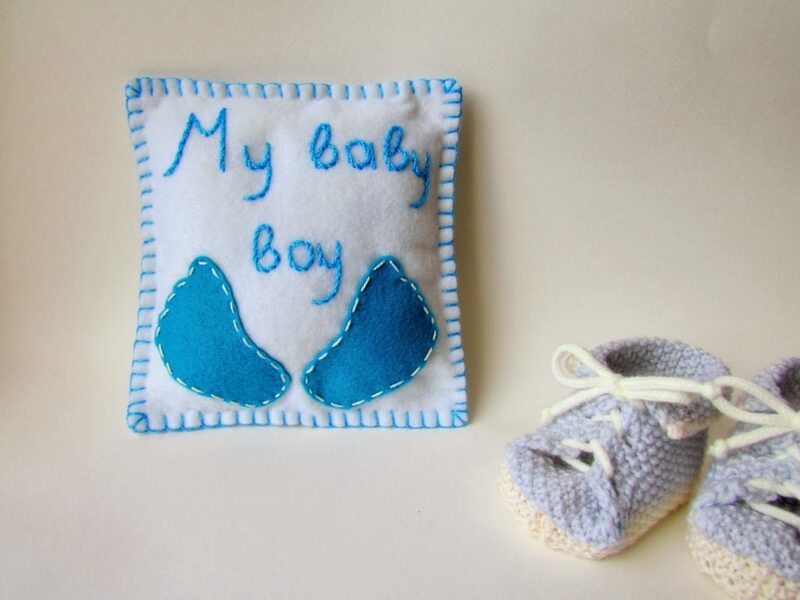 So I came back from maternity clinic and a few days later I received a package with a gorgeous gift for my little prince. 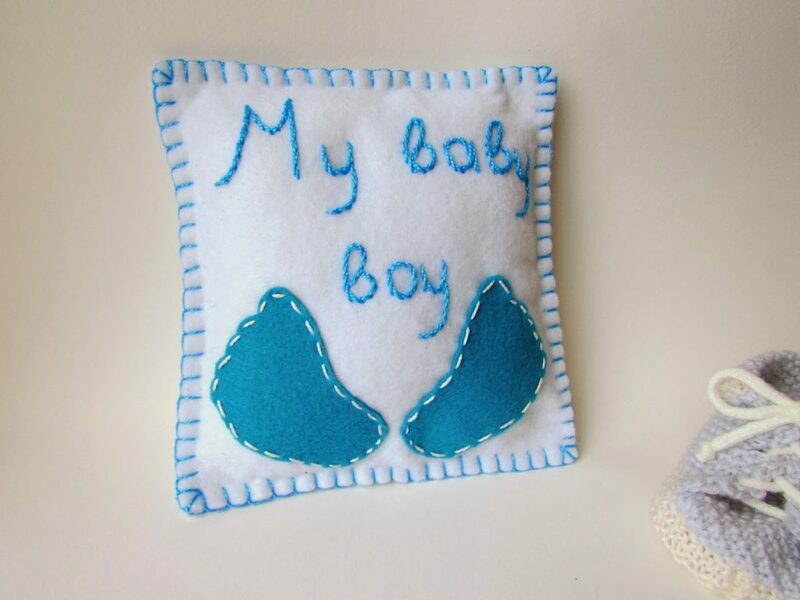 A small pillow from felt in white, with bright blue “My baby boy” phrase and two tiny feet… adorable!!!! I loved it as soon I saw it! So uncommon, so unique, so…cute! My friend Maria from Swanocean, a mother, a crafter , a blogger, with no free time as the most of us, created this beautiful pillow just for my baby… I am touched I have to admit, not only because of the gift, but because even thought I haven’t meet her in person and we just know each other from our blogs, she spent precious time for us! It is really great that blogging is sometimes a good reason to meet so interested people, to have new friends, to read about other’s experiences, dreams, wishes and not only. Thank you Maria!!!! The gift is gorgeous and it is already decorates the bed of my prince! And if you wish to admire more felt creations of Maria and wonderful posts and easy but delicious recipes, just visit her in….